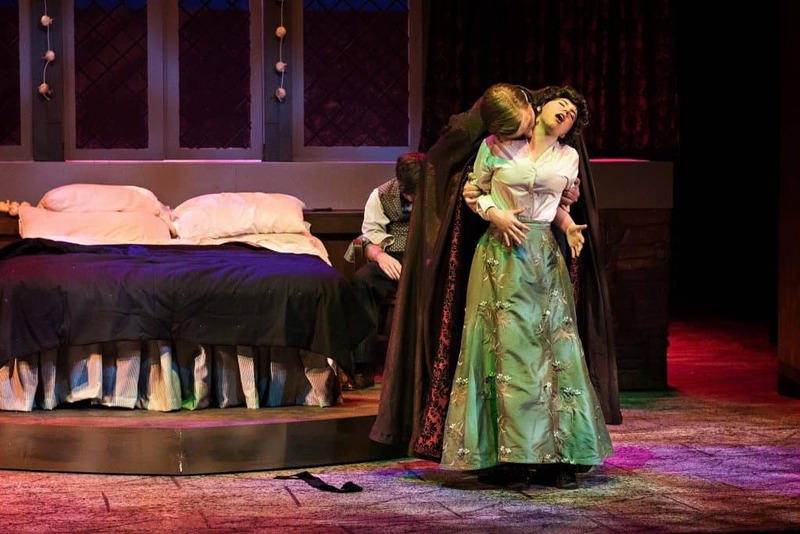 The Washington and Lee Department of Theater, Dance, and Film Studies presents “Dracula” on Feb. 9 and 11 at 7:30 p.m.; Feb. 10 at 10 p.m.; and Feb. 12 at 2 p.m. in the Keller Theater, Lenfest Center. Tickets are required. Traveling to Transylvania to finalize the purchase of some real estate for a nobleman, London solicitor Jonathan Harker (Jim Grant ’19) unwittingly releases an ancient supernatural power upon the world. After Dracula (Hunter Ward ’18), follows Harker to his home it seeks to bleed every last drop of life and sanity from his world. Harker and his faithful allies, his fiancée Mina Murray (Hannah Palmatary ’18), the practical Dr. Seward (Mac Evarts ’17) and Professor Van Helsing (Charlotte Cook ’19) uncover the vampire’s secrets in time to stop his plans. Don’t miss out on the ultimate battle between the forces of good and the master of evil and the struggle to reconcile pure logic with superstition. “Dracula” includes violence, sexual content and coarse language, and is therefore recommended for mature audiences only. Order your tickets online today at lenfest.wlu.edu or call the Lenfest box office at 458-8000 for ticket information. Box Office hours are Monday-Friday, 9-11 a.m. and 1-3 p.m. and will be open 2 hours prior to performance time.